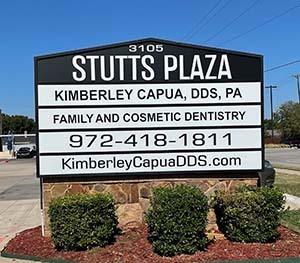 Dr. Kimberley Capua has been a part of the Carrollton and North Dallas area since 1989, with a practice that focuses on general and cosmetic dentistry. With over 20 years of experience, she exemplifies the qualities that you would want your dentist to possess. Dr. Capua is constantly attending continuing education seminars to keep current with new materials and techniques. She will make sure that all of your questions are asked and answered to your satisfaction, prior to any treatment. 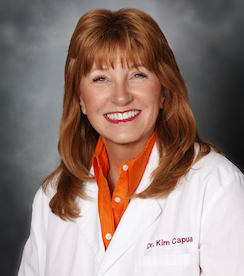 Dr. Capua sees to the comfort of her patients throughout their dental procedure. Her office has a warm and comfortable atmosphere, with a very friendly and helpful staff. Dr. Capua enjoys her profession and it shows.